Genetic archaeology zooms in on the origins of modern humans. DNA can be used to understand the evolution of modern humans, trace migrations of people, identify individuals, and determine the origins of domestic plants and animals. 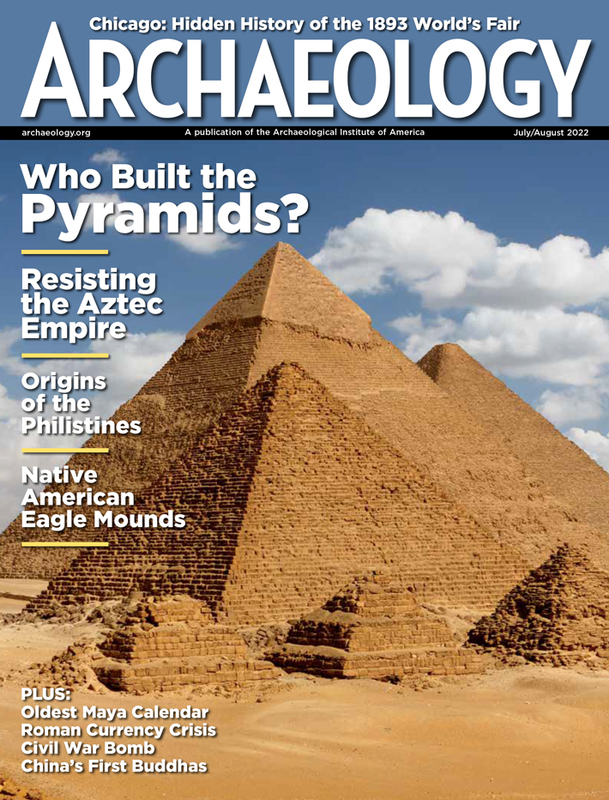 DNA analysis, as one scholar put it, is "the greatest archaeological excavation of all time." Because ancient DNA molecules are normally so few and fragmented, and preserved soft tissues so rare, scientists had little hope of finding and analyzing it. But two breakthroughs have made this possible: the polymerase chain reaction (PCR), a method for copying any fragment of DNA, and the successful recovery of DNA from preserved hard tissues, bones and teeth, that are durable and relatively abundant. DNA analysis traced human ancestry back to an African "Eve," setting off debate about how modern humans evolved. While there was general agreement that Homo erectus dispersed from Africa across Asia between 1 and 2 million years ago, what happened next remained a question. The "out-of-Africa" hypothesis contended that modern humans developed in Africa and migrated from there recently, driving H. erectus into extinction. Proponents of a "multiregional" hypothesis held that H. erectus populations evolved into modern humans in many regions, and that these groups later bred with each other and with groups that emigrated from Africa. The Eve study examined mitochondrial DNA (mtDNA), which is passed only by mothers to their offspring. The researchers, Rebecca Cann, Mark Stoneking, and the late Allan Wilson, estimated that the ancestor of all surviving mt DNA types lived between 140,000 and 290,000 years ago. When did the migrations from Africa take place? They dated the oldest cluster of mtDNA types with no modern African representation to between 90,000 and 180,000 years ago. These populations might have left Africa at about that time, but the mtDNA data could not determine exactly when. Geneticist Alan Templeton pointed out statistical and sampling flaws in the study. Its results, he argued, were in part dictated by the order in which the data were fed into the computer. Others questioned the reliability of "molecular clocks" and the rate of mutation in the human mtDNA used in calculating Eve's date. The genetic diversity of African populations was confirmed by later studies and is now generally accepted, but, according to Templeton, proponents of the out-of-Africa hypothesis assumed that genetic diversity reflected only the age of a population rather than population size. He contends that Africa has greater genetic diversity because its prehistoric population was probably larger than elsewhere. Recently John Relethford and Henry Harpending have argued that differences in ancient population size could mimic a recent African origin of modern humans. The data reflect population dynamics, they say, and do not support one model of modern human origins over another. Scientists are also studying DNA from the Y chromosome, which is passed only from father to son and is not recombined with the mother's genes. Because changes in the Y chromosome are caused only by mutations, as in mtDNA, it may be used as a clock. Assuming that all living humans share a common male ancestor, it should be possible to estimate when he lived. According to geneticist Robert Dorit, the first modern human male lived some 270,000 years ago. The most recent research on modern human origins, by John Armour, examined nuclear DNA of populations from around the world. Armour and his colleagues conclude that the evidence fits with the development of modern humans in Africa and an emigration by a small number of them that became the basis for non-African populations. These observations, they say, are more difficult to reconcile with a multiregional model for the origin of modern humans. New DNA studies by Bryan Sykes have challeneged the leading theory about the spread of agriculture into Europe. In 1984 Albert Ammerman and geneticist Luigi Luca Cavalli-Sforza of Stanford University proposed that it was people practicing agriculture who spread into Europe, rather than the idea of agriculture. They argued that agricultural productivity led to population growth, and that, as the population grew, early farmers gradually moved into new land inhabited by fewer hunter-gatherers. Thus the practitioners of agriculture spread from Anatolia, beginning about 7000 B.C., to Greece and across all of Europe, ending in Britain and Scandinavia about 4000 B.C. Using mtDNA analysis, Sykes claims that the ancestors of most modern Europeans arrived at least 20,000 years ago, long before the supposed arrival of Neolithic farmers. In analyzing mtDNA from more than 800 modern Europeans, Sykes and his colleagues identified at least five main groups. Four of the five groups date to well before the last glacial peak, with ages ranging from 35,000 to 25,000 years ago. The fifth group is much younger in Europe (6,000 to 10,000 years ago) and has clear affinities to Near Eastern mtDNA. Sykes and his colleagues accept this as the genetic echo of the spread of agriculture, but note that it is fairly weak. They conclude that, far from being overwhelmed by incoming farmers, the indigenous hunter-gatherer population remained intact and learned how to farm. Documentation of the early presence of Caucasian people in northwestern China, and information about their affinities with either modern European or Indo-Iranian populations, could contribute to the debate about the spread of Indo-European languages. Chinese and Uyghur archaeologists have been excavating naturally mummified bodies there since the 1970s. Paolo Francalacci of the University of Sássari, Sardinia, took samples from several of the bodies, dated to 3,200 years ago DNA analysis for these mummies suggest a possible European origin, although further research is needed to identify them more precisely. As part of a larger project, Chinese geneticist Du Ruofu has been collected samples of mtDNA from modern Tarim Basin populations. Comparison will determine how much of the ancient genetic composition survives. Most scholars believe that people from the Asian continent came to the Japanese archipelago in two migrations. An early wave brought the Jomon culture--hunter-gatherers who made pottery--to Japan more than 10,000 years ago. A second migration began about 2,300 years ago, when the Yayoi people, entering from the Korean Peninsula, brought weaving, metalworking, and rice culture to Japan. First appearing on the southwestern island of Kyushu, by ca. A.D. 300 Yayoi culture had spread throughout most of Japan, altering all local cultures south of Hokkaido, the northernmost island. Michael F. Hammer and Satoshi Horai are examining the extent to which the Jomon did or did not contribute genetically to the modern Japanese. Current hypotheses can be classified as replacement, hybridization, or transformation. In the first, Yayoi immigrants replaced the Jomon people. Hybridization theories claim that modern Japanese are descended from both groups, in which case they should have genes deriving from both the Jomon and Yayoi people. Transformation theories posit that modern Japanese people gradually evolved from the Jomon. Hammer and Horai, based on their study of the Y chromosome, conclude that hybridization, a mixing of Jomon and Yayoi stocks, is the most likely explanation for the origin of modern Japanese. Nonhuman DNA has great potential for shedding light on cultural practices. Recent work by Daniel Bradley is a case in point. Before now it was assumed that cattle were first domesticated in the Near East. African, European, and Indian cattle were all thought to be descended from a domesticated Near Eastern progenitor, and to have developed into characteristic breeds afterward. Bradley and his colleagues have determined that Indian cattle broke off from an ancestral lineage between 117,000 and 275,000 years ago. The lineage split again about 22,000 to 26,000 years ago into groups that gave rise to modern African and European cattle. These are startling results because cattle in the Near East were not domesticated until about 9,000 years ago, and cattle in India and Africa were genetically distinct before then. The latter two could not possibly be descended from domesticated Near Eastern cattle, as was thought, but must have been domesticated independently. Geneticist Terence A. Brown and his colleagues have devised a way to identify types of wheat using DNA analysis. This will make it possible to determine whether primitive wheats or modern varieties were grown at a site. The higher productivity of modern varieties means that a larger population could be supported, and fewer people had to be involved in farming. This may have been a factor that sustained the rise of classical civilizations. Brown also hopes to use similarities and differences in wheat DNA to investigate the relationships between Celts and Romans in Britain. Did the Romans bring their own wheat, or did they rely on indigenous agriculture to support the Roman community? 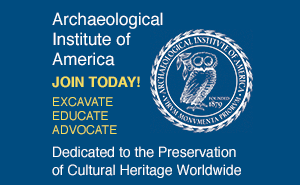 This is the first in a two-part series on genetic archaeology. Our second installment, in the November/December issue, focuses on DNA investigations that challenge the most widely accepted model of how the New World was colonized. Egyptologists have struggled with the genealogy of New Kingdom (1570-1070 B.C.) pharaohs for more than a century. Many royal mummies from this period have been identified, either by modern scholars or 20th Dynasty priests who rescued some of them from the depredations of tomb robbers. But we cannot always trust these identifications. The incomplete historical record is exacerbated by the fact that royal brothers and sisters, and even fathers and daughters, intermarried. Uncertainty abounds: How was a particular pharaoh related to his successor? Which of a pharaoh's wives was the mother of his heir? There are also many unidentified mummies. Could one of them be Hatshepsut or Akhenaten? Were the two fetuses found in Tutankhamun's tomb carried by his wife Ankhensenpaaten? Since 1993 microbiologist Scott Woodward has been analyzing DNA from the mummified remains of these pharaohs and queens, in cooperation with Nasry Iskander, chief curator of the royal mummies at the Egyptian Museum in Cairo.